Top of the line eyewear design brand imagined for women, the brand VOLTE FACE is designed by Joëlle and Jean Francois Rey in their creative studio. Combining taste of the tradition and desire for transgressions, the brand Volte Face subtly provides a sophisticated and very feminine Parisian touch. The exploration of the materials is the signature of the brand with a unique and very personal and singular work on textures, reliefs and colours. Works of art, diamonds, ceramics, jewelery are the main themes of the collection that the brand loves to work with. Exclusive acetate developed with Mazucchelli, volume and relief work, thin and decorative metal association, the creative research is always guided with a high requirement for the finishing of materials and the quality of assembly of each piece. The models are worked with lots of attention to detail and an aesthetics that gives each piece a unique character. 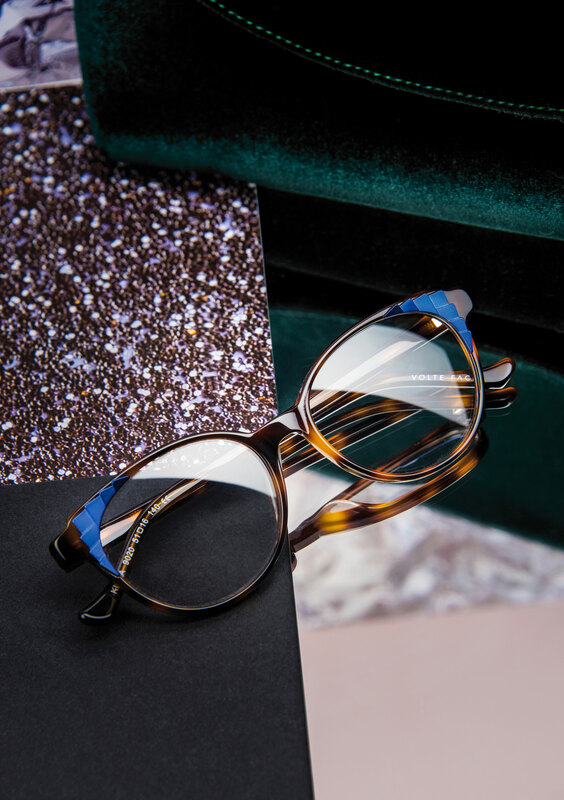 Preserving the DNA of the brand, the new collection explores the infinite creative and technical possibilities of acetate always keeping the perfection of all silhouettes in mind. Between modernity, refinement and French elegance, the models honour the great tradition of French eyewear.